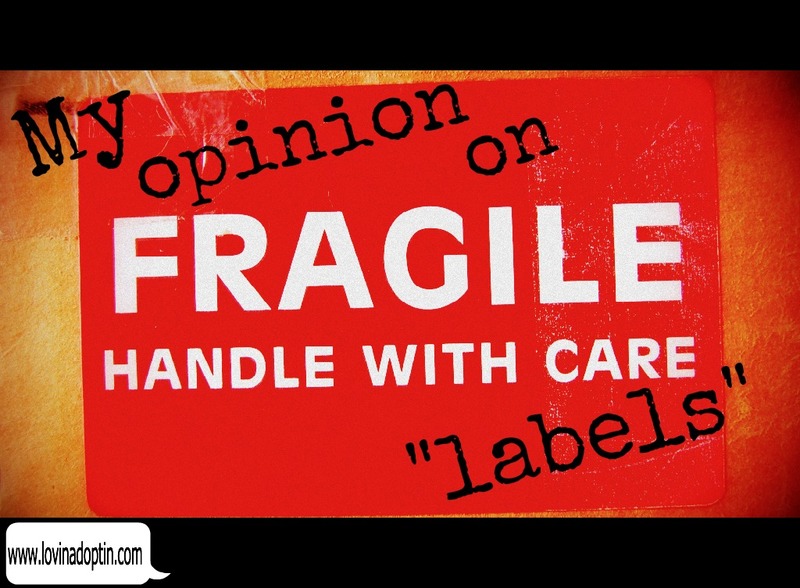 Diagnoses have a negative reputation, and they’re often referred to as “labels.” Maybe there is critical thinking when it comes to diagnoses because of how people have used them, abused them, and criticized the diagnosed person. It may also be because some use a diagnosis as a means to get a child medication (in some cases those medications are needed, and in others, they aren’t). The disapproval of diagnoses is probably a combination of all the reasons listed above, and more. I don’t see a child through their disABILITY or disorder, nor does their disABILITY or disorder define who they are in my mind. 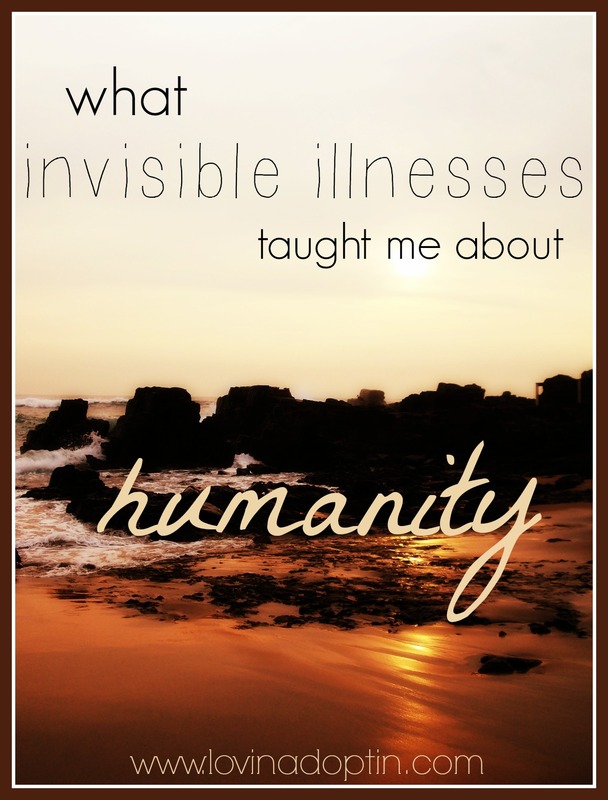 In my case, I am very thankful I had some diagnoses for my kids because it helped me understand what they were dealing with (in all cases they were hurting either internally and/or externally) and how to help them. When we first had a Speech Pathologist and a Developmental Therapist working with our son they were extremely reticent to mention the word Autism or move forward to get a psychological diagnosis. I understood the diagnosis part, they wanted to be absolutely sure. But what bothered me was when they said they work with all children in the same way, and no child is treated different because of a diagnosis. But wait. There are specific therapies used for Autism that work to help them function better. It’s the same with Sensory Processing Disorder. If you don’t know how to treat it (I don’t mean with medication), then you’ll have a terribly uncomfortable, agitated, and angry child with a lot of behaviors you can’t combat without meeting specific needs. It’s the same with all the other disorders I listed. 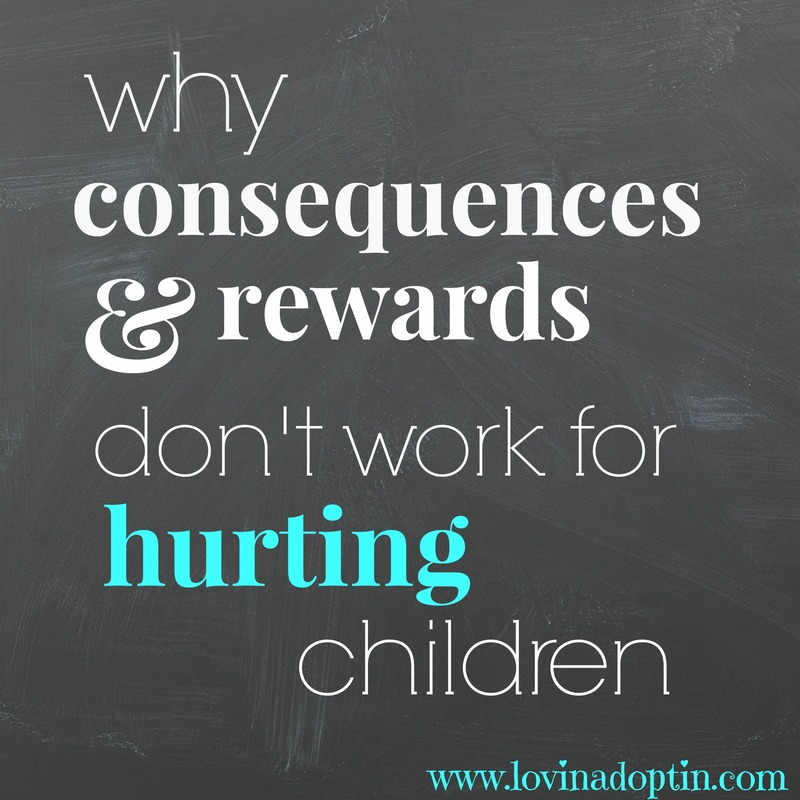 Knowing what my child is dealing with also helps me be more compassionate towards them. 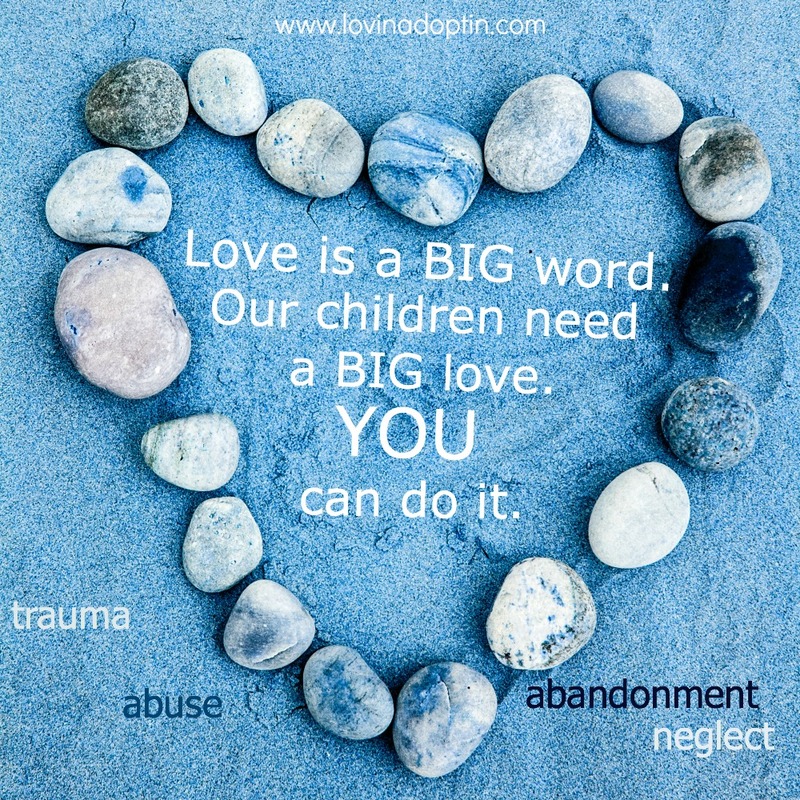 When I understood that my daughter and son had attachment issues because of their past neglect and trauma, it relieves a large majority of the rejection I felt when they wouldn’t hug me of their own volition, or when they denied my attempts to love them. When I understood that my daughters rages, need for control, and bad behavior stemmed from her past, which then resulted in several diagnoses, I was able to have empathy for her and meet her with a calmness instead of anger and impatience. I know that many of her behaviors weren’t an attack on me personally, they weren’t born of my bad parenting (okay maybe a few were), they were caused by her trauma. If more people would educate themselves about Autism and what it looks like, I believe people would be more understanding. They wouldn’t see a child misbehaving, they would see a child that can’t sit still because their body is irritated and they need movement. They wouldn’t see a child that’s rude, they would see a child that doesn’t understand society’s rules. They wouldn’t recommend spanking an Autistic child because they would know that it would only confuse the child, and the child would like it because they crave intense sensory input (they hit others, things, and themselves because of how it feels). When used correctly, a diagnosis can bring tremendous insight to a child’s behaviors. Another concern some have about diagnoses is that it will follow a child for the rest of their lives. In most cases, I believe this is only true if the parents/caregivers or the diagnosed child purposefully carries it with them. Parents also express concern that the child’s school will know of the diagnosis, but the only ways this would happen is if the parent/caregiver notifies the school, has an Individualized Education Plan (IEP) for their child that lists the disABILITY or disorder, or signs a consent for the doctor to release the medical records. In our case, our daughter’s school will not know of her diagnoses because her behavior has improved so significantly in the past year that I doubt we will have to mention anything. 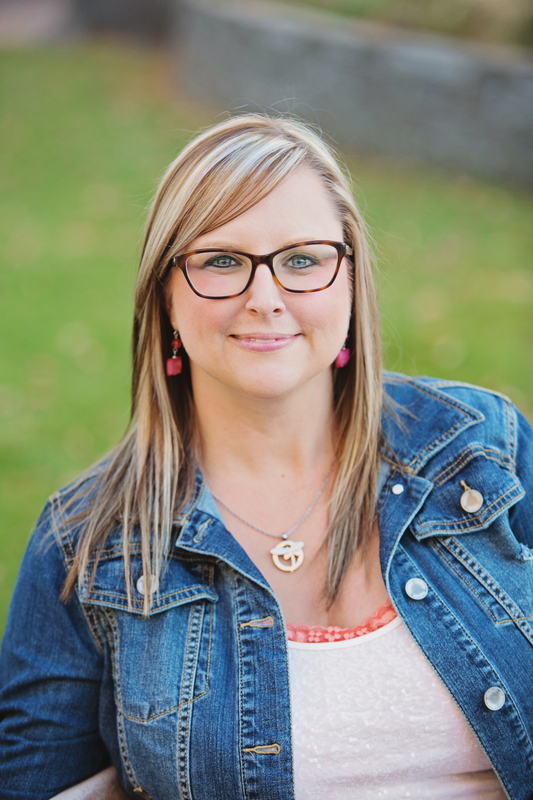 Whereas before, we divulged some of what she dealt with (adopted, trauma, attachment issues, the “whys” of her behavior, and how to handle it, but no diagnosis shared) with the Preschool and Kindergarten teachers. So, I don’t see diagnoses as being a bad thing. 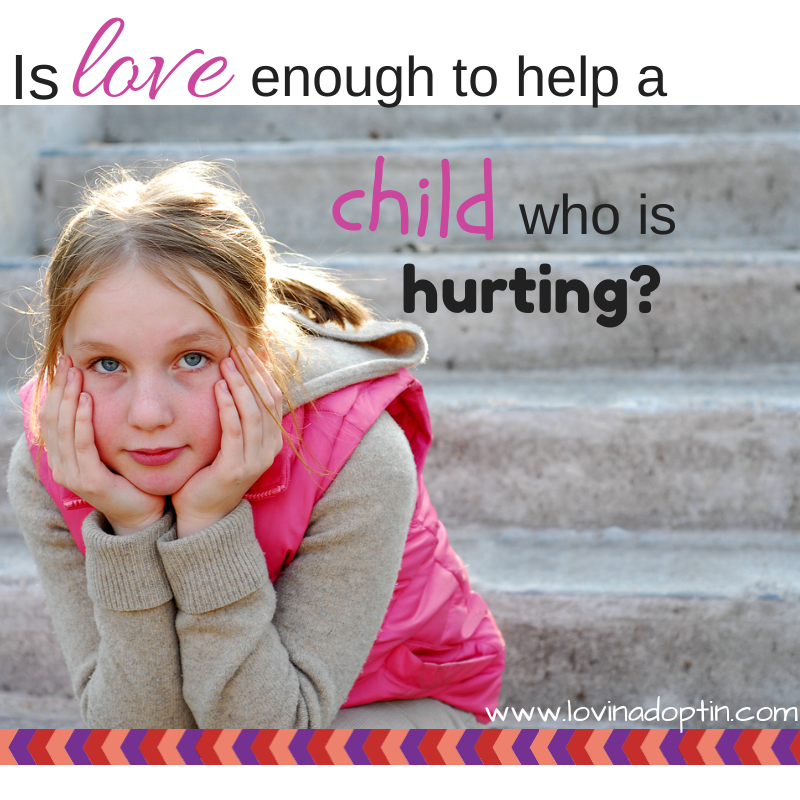 If truly needed, they can often help us understand what our child is dealing with and how to help them in ways that will be beneficial and not harm them. If you feel someone else would benefit from this information, please feel free to share. 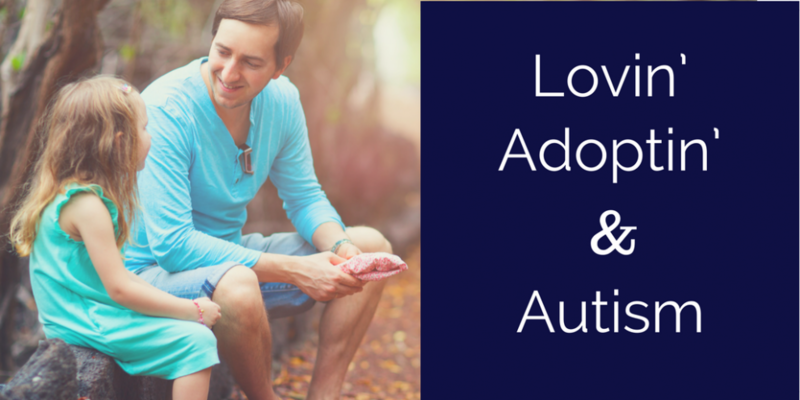 You can receive each article posted to Lovin’ Adoptin’ by subscribing in the upper right corner. If you’re on a mobile device, you can do this on the web version. You can also follow me on Facebook, Twitter, and Pinterest for more helpful information and links. Raising children with disabilities and disorders is hard, but what most people don’t consider is everything else that plays into the word “hard.” Regular life: Normal life can be stressful for so many, and us special needs parents have to play roulette with that aspect too. Work: Are you self-employed? Is your spouse self-employed? Are changes in the economy affecting you financially? Is work a source of anxiety? Relationships: are all your relationships perfect? Is there tension within your family? Are all your friendships going well? Oh, wait, when you have children with disabilities or disorders you don’t have many close friends. You’re lucky if you have one that understands when you have to cancel a coffee date. If you’re especially fortunate your one best friend is your husband. 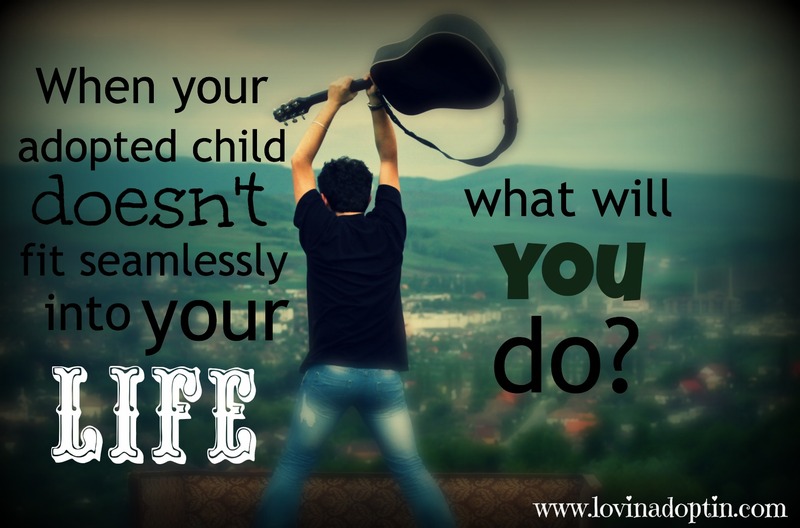 Life is rough, life is full of heartache, but much more so when you have a child that struggles every day. You have worry, appointments, do-it-yourself therapy at home, calls to insurance companies, discussions with doctors, horrible days, days when you regret what you say or how you acted, days when you wish for more help, days when your child’s screaming and crying make you anxious and annoyed, days when you worry incessantly about your child’s food preferences (really not preferences, as children with Sensory Processing Disorder will ONLY eat certain foods), days when you worry about their future, and of course add the worries and stress of regular life throws at you. This list is overwhelming right? 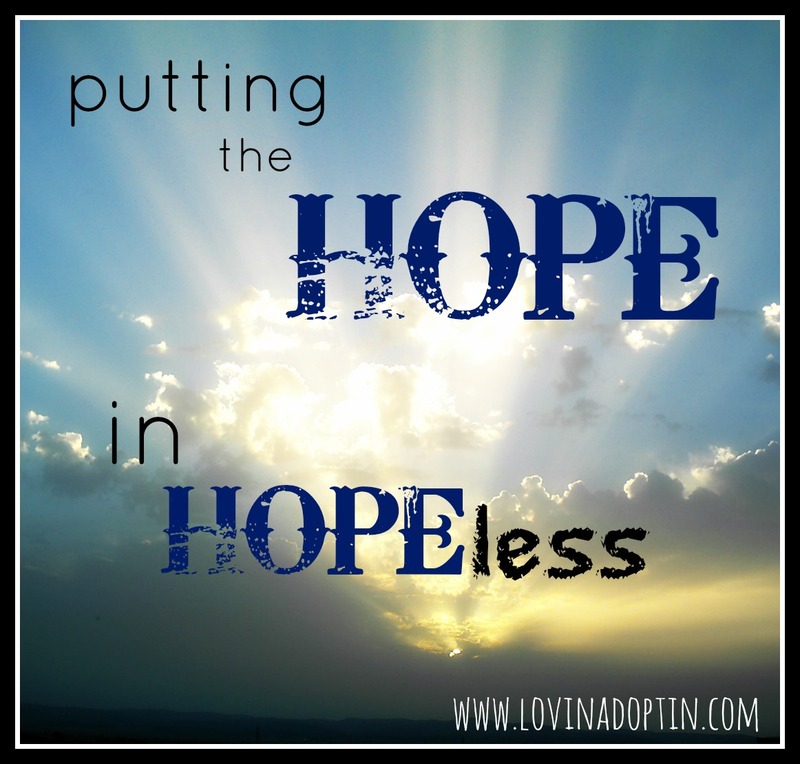 It can be, and that’s why I was so relieved to find this blog post by another mom of a special needs child. She says that one of the things us special needs mommies can agree on is not feeling like we have enough help. (Big sigh of “You know what I’m feeling.”) So nice to know that others are in the struggle with me. Don’t get me wrong, I wouldn’t define most of it as a struggle, I am probably one of the rare ones that isn’t sure I want my son’s disABILITY to disappear. I adore him, and a big part of him is his Autism. I wouldn’t know what to do with a boy who didn’t have Autism. Is it hard? Oh God, yes! So, it’s so wonderful to know we aren’t in this alone. We have two children that fall under this special needs category, and we have been in the “warrior mode” this author mentions far too much. When negatives come into our life, it often makes already rising rapids overflow and soon there is a waterfall of mega proportions. So how do we deal with it? How do we deal with negativity from others, lack of support from family members, friends, or even our spouse? Does joy come in the morning? Without God how do we handle it? Yes, I pray about it, but some days that torrent is suffocating, and I can’t find my way up and out. On the days when the water isn’t so murky, I focus on my little family and finding joy where I am. This post I will link to also mentions joy. When I’m not getting the help I need or want, I am thankful we can all go through the Chick-Fil-A drive-thru and eat in the car together, or on our Anniversary we may be lucky enough to sit down as a family inside a restaurant (a loud one, and we might only down some sugar-coated fries, but I resort to a statement I fairly loath, it is what it is). On days when there isn’t a mountain of to-do’s we can relax in our backyard, letting the kids run free. We find things to do that our whole family can participate in, and it isn’t easy, believe me. When I am able I focus on the joy my kids bring me, and push those selfish, nagging thoughts off the cliff before they suffocate me even more, I have joy, I will make it through, and I am not alone. So onward with the post I am referring to, may it buoy your spirits today as it did mine. May you find joy.